The brands shown below have been carefully selected because we’ve put their equipment through the paces and recommend them to all of our clients. Please click on the logos to visit their website so you can learn more about the products and services they offer. When you choose Vortex Optics, you join a brethren of hunters and shooters that understand what it means to use great optics. The people at Vortex have been in the optics business since 1986 and we’re one of the few family owned and operated US companies left in the industry. We have a staff of about forty dedicated and hard working people who love to come to work and make great things happen for our customers and dealers. All of our products are designed to our own specifications and inspected and serviced at our modern facility located in central Wisconsin. SureFire, LLC. is an American company based in Fountain Valley, California. Their main products are flashlights, headlamps, weapon-mounted lights and laser sights. In addition, Surefire makes knives, sound suppressors, Picatinny Rails and batteries. The company is a major supplier of flashlights to the U.S. Armed Forces. 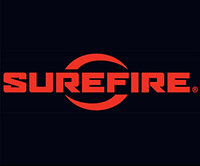 Surefire products are commonly used in the US by law enforcement agencies. Magpul Industries Corporation is an American designer and manufacturer of polymer and composite high-tech firearms accessories. The corporate headquarters is based in Austin, Texas. The company manufactures a variety of products from firearms accessories and slings to electronics cases based largely on in-house design as well as providing design consultation and firearms training services. With offices around the globe, our team of designers developers and testers work directly with customers from operators to adventurers to create purpose-built apparel and gear designed specifically to enhance the safety, accuracy, speed, and performance of first responders and tactical enthusiasts worldwide. 5.11 Tactical products exceed rigorous and exacting standards, which have allowed the brand to establish a reputation for innovation and authenticity, and become the premier choice for duty-driven professionals. HIVIZ Shooting Systems has always had a vision to improve the sport of shooting. Let’s face it, when you hit what you’re aiming at and experience success, you’re going to have fun and enjoy it more. So we started designing and engineering our innovative line of sights and recoil pads that have now become the standard for the industry. 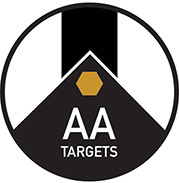 AA Targets specializes in Premium Steel Targets and stands! Our targets are made of Premium American Made 3/8″ AR550 steel. (Lite Targets are 1/4″ AR550) We offer different thicknesses and materials upon request. Our targets are cut using a CNC Water Jet machine or a CNC Plasma machine depending on your preference. We welcome your custom projects! We will work quickly with you to fulfill any projects you have in mind! SEAL 1’s development team specializes in research, design and product development, with a special interest in all natural, non-toxic, environmentally friendly products. Our team has set many industry standards with Green Engineered Lubricants, Cleaners, Anti-Corrosion, Anti-Seize and Unique Niche Products. We specialized in Eco-based products for the Tactical, Archery, Marine, Sporting, Shooting Industry, Military and Law Enforcement fields. We are proud to market products that are USDA Certified Biobased and qualify for federal procurement. Alien Gear Holsters manufactures premium, incredibly comfortable concealed carry IWB holsters ( inside the waistband ) and open carry OWB holsters ( outside the waistband ) for concealed carry. 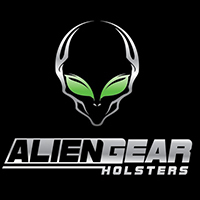 Alien Gear concealed carry handgun Holsters are made in the United States from quality leather or neoprene composite and super strong plastic. We use American Made parts wherever possible throughout our gun holster manufacturing process. MM Solutions crafts custom foam inserts for all types of cases. Whether you are in the market for a new case, you have a new case and need custom foam case inserts, you are repurposing a case you’ve had for some time, or you have a completely custom one-off application that needs custom cut foam inserts, we’ve got you covered.